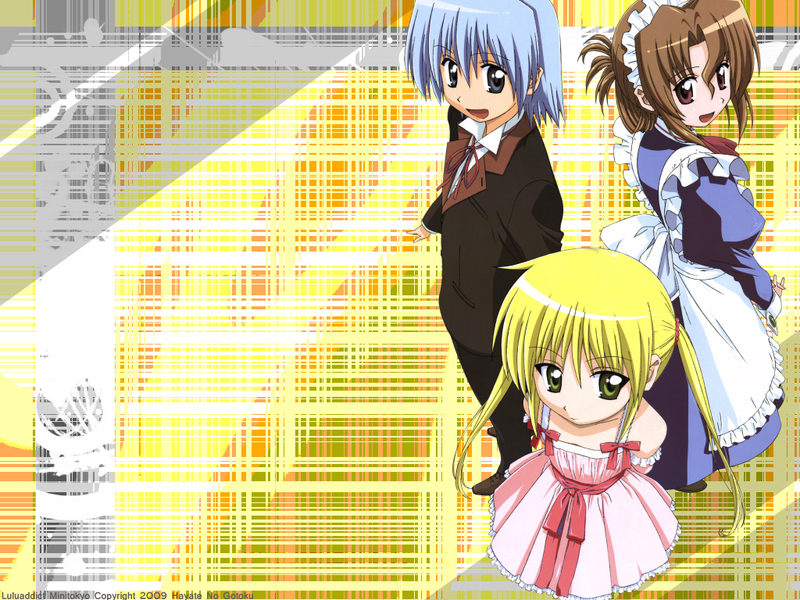 YAY~ Hayate no Gotoku! I love this anime, and how could I not? It's just wonderful! Lol. I have no idea how the heck I made this. It just took awhile. I got the vector from animevectors.org I think. I used allot of filters and inverted the boxes. I also inverted the background when I was done. That's all I remember. It took like 20-30 minutes. Kinda a fast one. But I'm a fast artist so, heh. i love this one >.< great thx..